Hi everyone! Hope you are all having a great week so far. 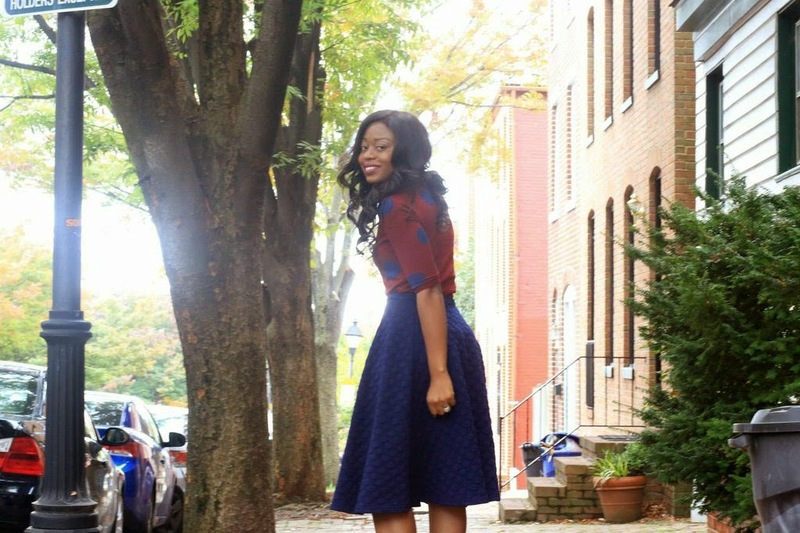 Thanks to piperlime for adding another midi skirt to my wardrobe. It seems like they just read my mind and picked the perfect skirt and coordinating sandals. The colors are part of my fall favorites. 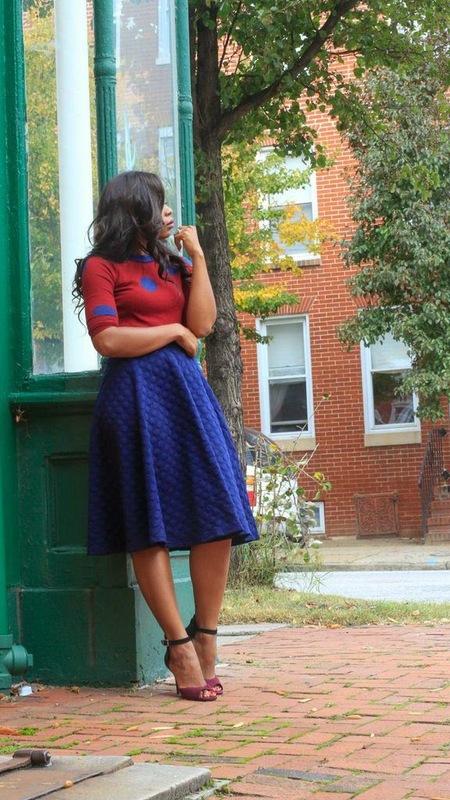 I added a burgundy and navy polka dot sweater to complement the colors of the skirt and sandals. Love the playful look in the photography. And the skirt is beautiful. Loving this color combination for Fall. I love the combo as well,my two fav colours. 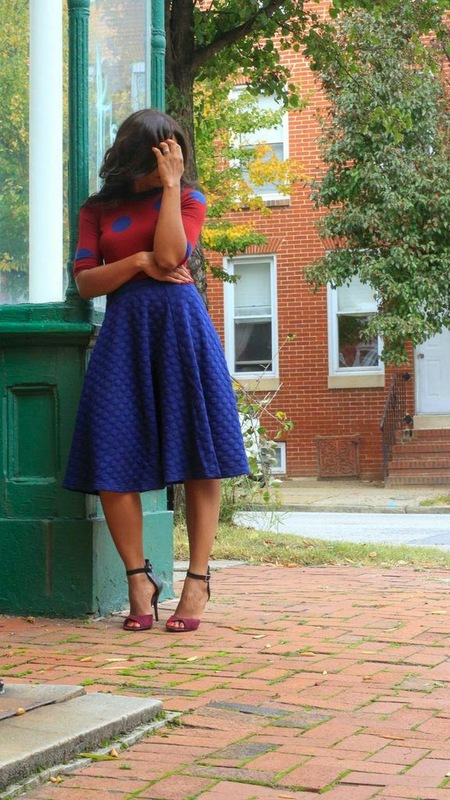 The skirt is simply gorgeous and I love your styling with the polka-dot sweater, great use of colours. Beautiful! Red and blue is one of my favorite color combo's! oooooo, I would love to play around with the texture of that skirt!